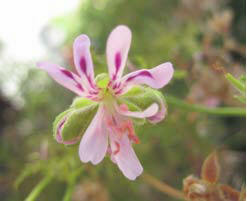 Let us look at the meanings of the names of the Pelargoniums in the section Pelargonium. 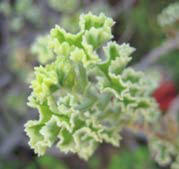 This section of the family includes many of the species with scented foliage. 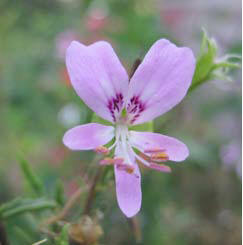 Many of these species are involved in the parentage of the various cultivars of scented leaved plants, angels, Uniques and the regal or Martha Washington geraniums. 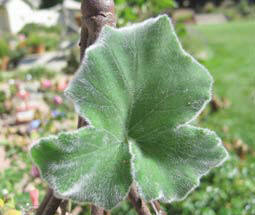 P. vitifolium - grape or vine leaf. 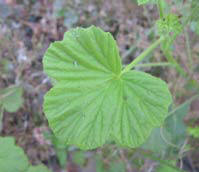 The following species may be lemon or citrus scented: P. citronellam, P. crispum, P. radens, P. scabrum, P. vitifolium. 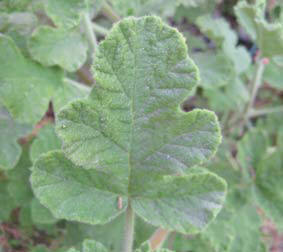 Mint scents can be found in P. Graveolens, P. radens, P. tomentosum. 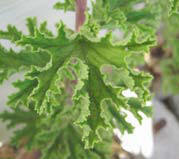 The rose-scented geraniums include:P. capitatum, P. ï¿½Graveolensï¿½, P. radens. 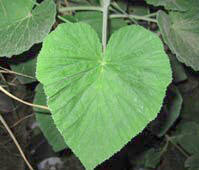 Various authors name the following balsam, pungent or unpleasant scented: P. denticulatum P. glutinosum, P. hispidum, P. panduriforme, P. papilionaceum, P. quercifolium.